I was unfamiliar with the inside of bars until I started dating the man now known as The Best Husband Ever, who also happens to be a pretty hot electric guitarist. 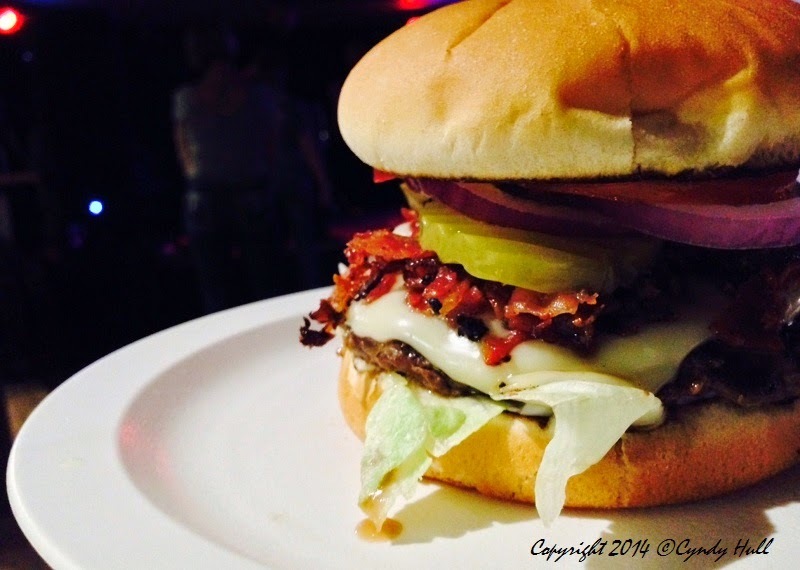 Over the years, while engaging in first-rate people watching, I’ve learned which local bars serve up a perfectly-loaded-not-too-greasy burger. Case in point: this tasty visual from the Dark Horse in Missoula, Montana. Sometimes, it's what you crave. Just please remember to enjoy the beverages as just that, and in moderation.